I for one love my breakfast dishes. When they opened Norma’s at Le Parker Meridien in NYC I was so excited as it had my name, but also they serve breakfast all day. 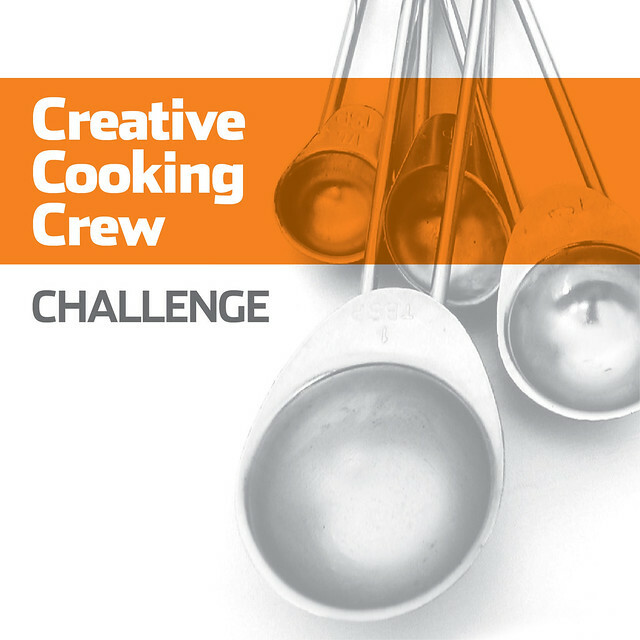 Our Creative Cooking Crew came up with this month’s challenge: “what’s for breakfast”. Wanting for a while to make a strata, I decided on this particular one…you prep in the evening and put it in the oven in the morning…so easy. Grease a 9″ x 13″ baking dish with butter. Place cubes of bread in dish to completely cover bottom and sprinkle bread with half of the Asiago cheese. Place spinach evenly over bread. Whisk together all ingredients (except for the remaining Asiago cheese and tomatoes) then pour over the spinach layer. Place tomatoes on top and then sprinkle with remaining Asiago cheese. Cover tightly and refrigerate overnight. Bake strata uncovered for one hour. Let stand for about 10 minutes and serve. 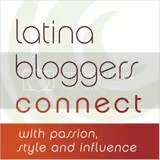 This entry was posted in Appetizers, Breakfast/Brunch, Cheese, Eggs, International Dishes, Italian Dishes, Vegetarian. Bookmark the permalink. Love the colors, ingredients and, most especially, the presentation! Any time Val. Mi Casa es su Casa. Those heirloom tomatoes are really gorgeous. This looks perfect for any meal! The strata looks so pretty. I used to stay the The Parker Meridian a lot when I used to come to NYC for business. Loved that hotel. I have never made a strata, now I’m inspired and I can eat breakfast for dinner anytime too! Norma, I never knew what a strata was until recently. 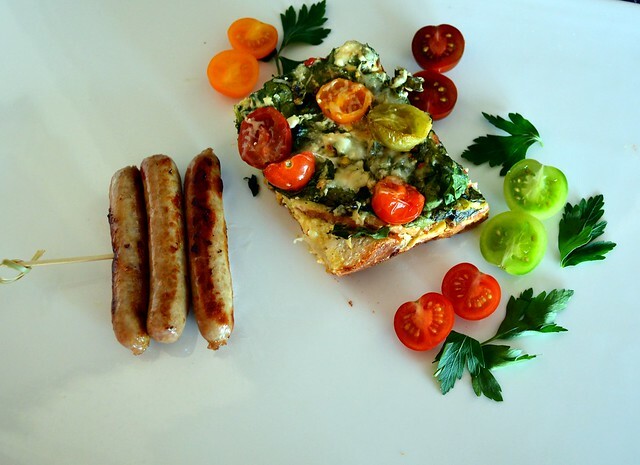 It’s kind of like a savory baked French toast! It seems like the combination of ingredients and flavors would be endless and a very convenient dish to make for a crowd. Yours sounds delicious! Hi Norma – the strata sounds great. I also love that you serve the sausage links on a pick! Great plating! I’ve heard wonderful things about Norma’s at Le Parker Merdien as well! Your strata looks fantastic. So many great flavors for breakfast. And you know a strata is kinda like a savory bread pudding, which makes it extra awesome in my book! Pretty! I am interested in the use of ricotta in a strata like this. Does it come out with the texture of ricotta used in, say, a baked pasta dish like lasagne? I love stratas and love to make them–and this may be the prettiest I have ever seen. Certainly prettier than anything that came out of my kitchen! 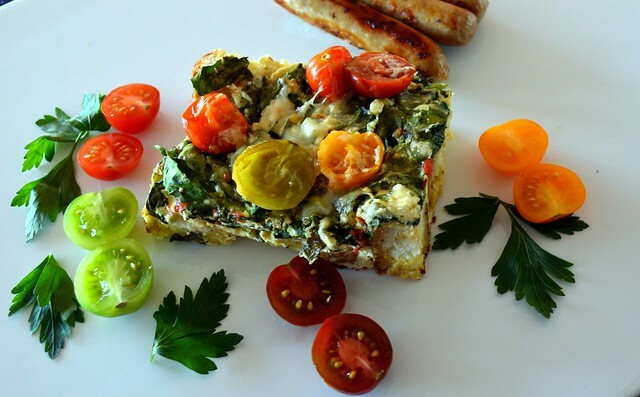 Your strata recipe for breakfast sounds like a perfect way to start the day. ¡Que fresco y rico!